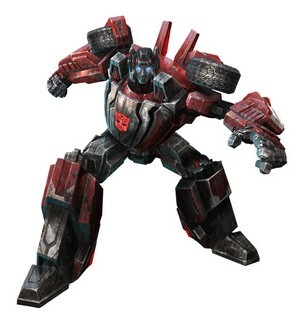 Description: Jetfire is dedicated to the pursuit of science and believes technology will ultimately give the Autobots victory over the Decepticons. Jetfire keeps himself completely cutting edge and up to date, making him the fastest Autobot ever created. 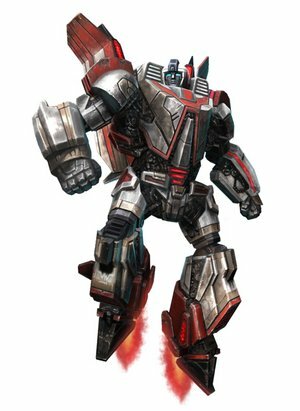 Jetfire became an Autobot after disagreeing with the methods used by the Decepticons and Starscream in particular. Description: Sideswipe is built for speed. Whether that’s in combat or out of it, he moves fast. Very fast. He enjoys the thrill of battle, but more for the sport and competitiveness than the end goal. Being very competitive, Sideswipe will do anything he can to win, cheating notwithstanding. Nothing is out of the question when everything is on the line. Some call him reckless and brash, but he does what it takes to win. Every time. 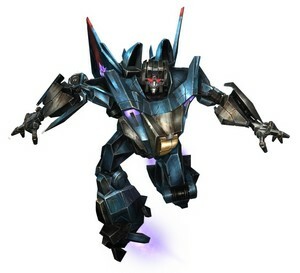 Description: Serving alongside Starscream and Skywarp, Thundercracker is a part of the main force of the flying fleet of the Decepticons. Thundercracker despises those that cannot take flight and views himself as being superior to those that cannot. He reigns supreme in the air, having excellent skills in aerial combat and maneuvers. Thundercracker sometimes questions the Decepticon cause, but imagining Megatron’s wrath always quiets his discontent.